Looking for a Thai restaurant in Brighton? 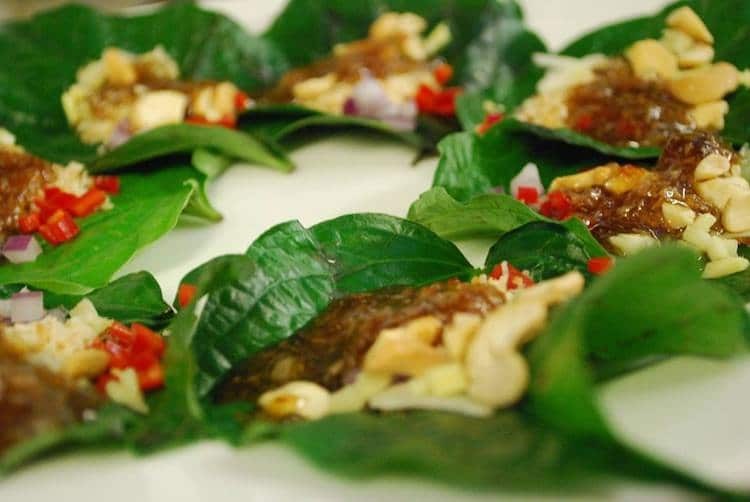 Have a look at our tried and tested Thai restaurants and explore regional specialities. 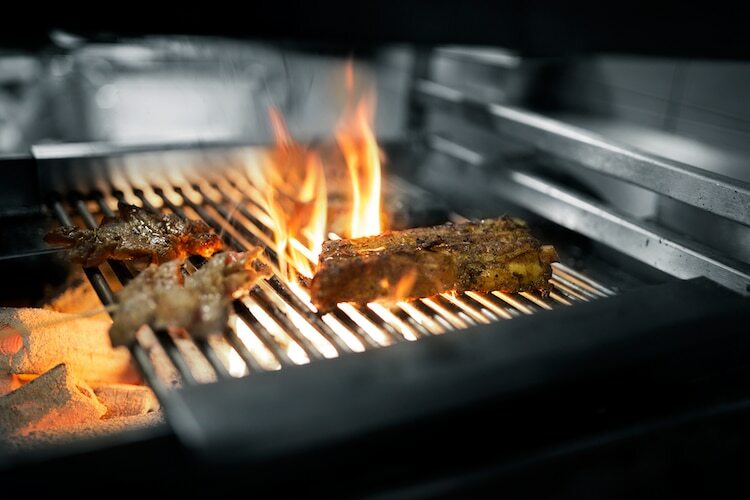 Serving barbeque meats, curries and sharing plates, Lucky Khao is Brighton’s only Northern Thia restaurant. The northern region of Thailand is cooler, and therefore the climate is a closer match to the UK’s. The team at Lucky Khau has been trained in top Bangkok restaurant 100 Mahaseth, to deliver an authentic, quality Thia Brighton restaurant. Just a short distance from Palmeria Square is Cafe Chilli, a popular favourite since opening its doors as The Green Mango in 2010. 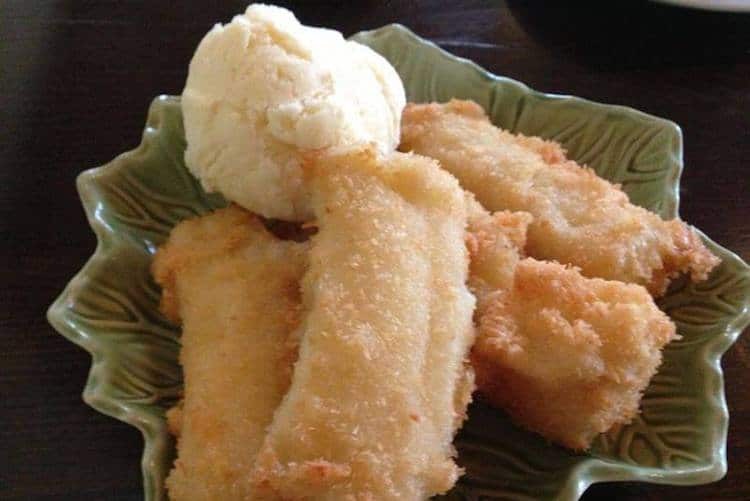 Serving an affordable mix of traditional and fusion Thia, Cafe Chilli is open for lunch, Tuesday to Sunday, and dinner seven days a week, with BYO Mondays being a local hit. Casual and relaxed, Cafe Chilli is as suited to a quick lunchtime platter as it is an evening celebration. Tookta prides herself on using organic and fresh produce to create her contemporary, but authentic Thai recipes. With careful attention to detail, Tookta promises to cater for all tastes and an appealing and thoughtful menu allows diners to tweak meals to suit their preferences. Homely and great value for money. 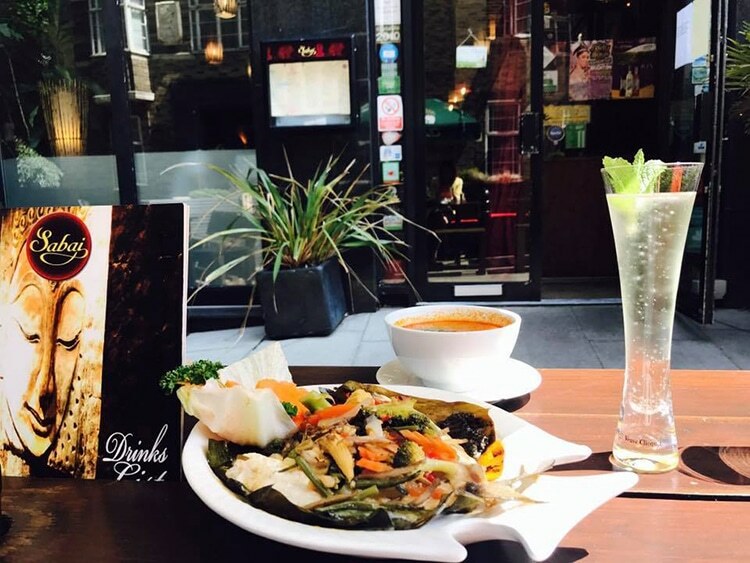 Sabai is located next to the Royal Pavilion gardens and is one of the most popular and authentic Thai restaurants in Brighton. Sabai literally means relaxed and this is ultimately the environment you walk into when you visit their ‘gastrobar.’ Imagine being transported to an idyllic beach bar in southern Thailand or to a buzzy contemporary restaurant in central Bangkok, this is Sabai. 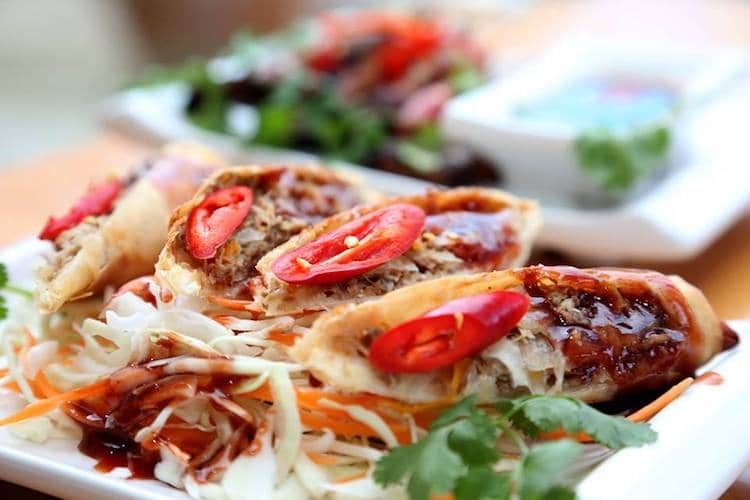 The Giggling Squid restaurants emphasise fish and authentic street food. Now a national brand, the successful formula started from humble beginnings in a fisherman’s cottage here in Brighton. Giggling Squid has stayed true to the ethos that made it a success with contemporary and tasteful Thai dining that won’t disappoint. 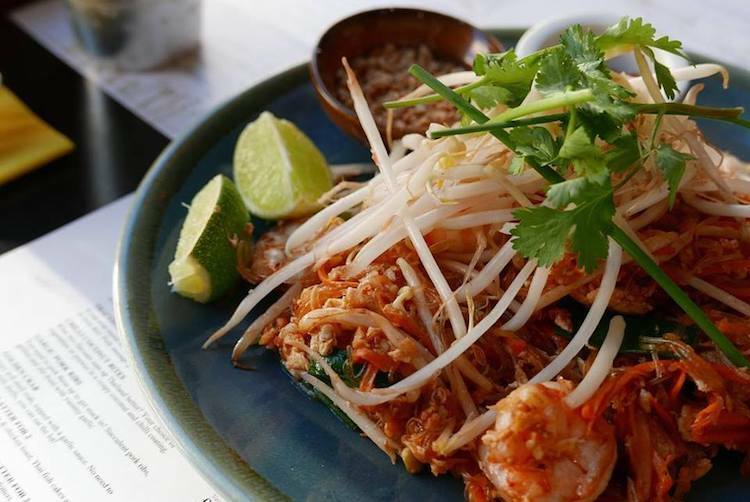 Brought to you by the same group as Donatello’s, Fat Leo and Piccolo’s – this successful Brighton restaurant group have teamed up with the Chilli Chicks Thai cookery school to deliver Thai Street food in a contemporary setting. Thai street food from all regions can be experienced in the restaurant which is refreshingly decorated in graffitied walls bringing the food concept into the whole environment. 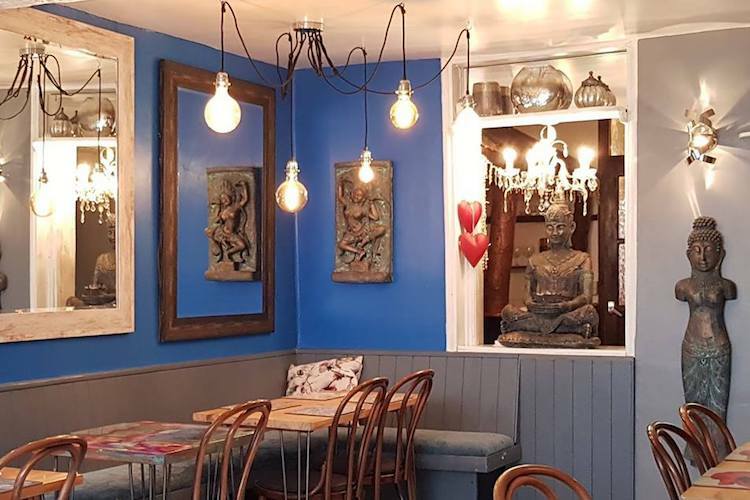 Located on the bohemian St James’ Street, Sawadee is a very popular Thai restaurant serving a range of Thai tapas and Thai menus for both lunch and dinner. 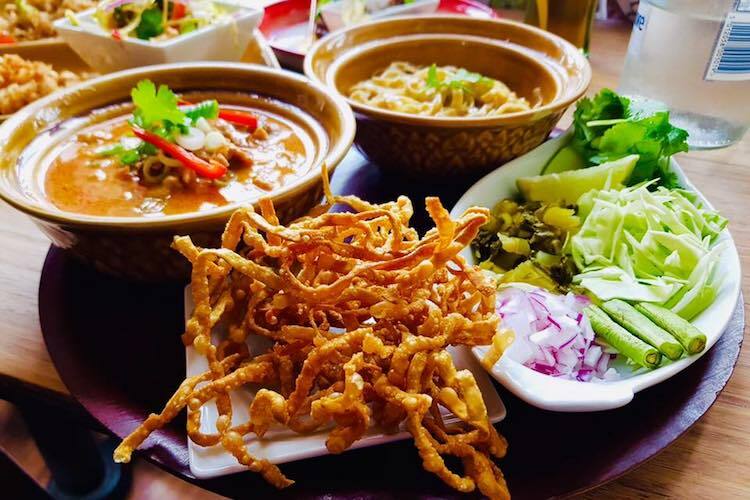 Taking pride in utilising their traditional and authentic recipes, along with using only the freshest ingredients available – Sawadee in Kemptown has been serving Brighton for years. Previously Sony Thai Connection, iM Thai is very popular in Hove if you’re willing to go a little off the beaten track. iM literally means ‘full’ which is how this independent restaurant wants you to leave. With a team of Thai born chefs, this is colourfull, aromatic and affordable food from a secret gem. 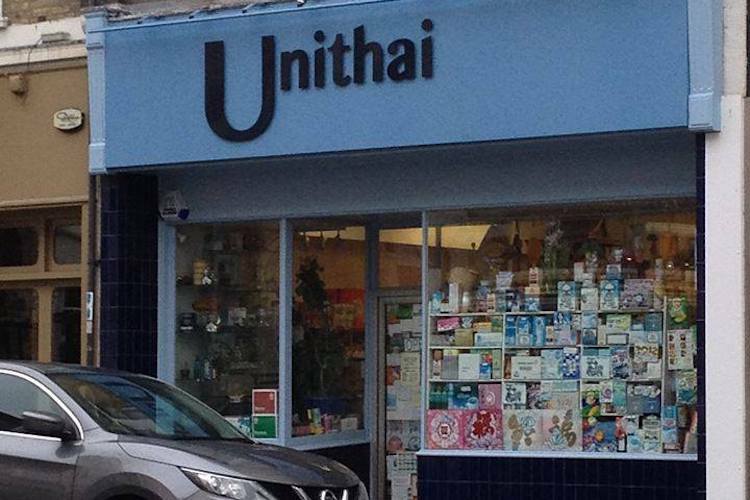 UniThia serves from the back of a Thia supermarket on Church Road is one of the least assuming but most popular venues around. Serving from lunchtime until early afternoon only, it is well worth arriving early, expect no frills and possibly wear a bib. With that in mind and if you embrace the spirit of the place, you won’t be disappointed. On the second Thursday of every month Head Chef, Patcharee, holds a gluten-free, meat-free feasting night at Limes of Lindfield. Serving no less than eleven tasting dishes inspired by her home country of Thailand, with accompanying wines, the menu is completely vegan. Situated in the heart of the North Laine The Office bar is a gin haven will in excess of 50 gins including specialities, locals and well-known brands. With a secret little yard at the back, its the place to go for those in the know with a thirst for a refreshing G&T. To accompany the refreshing beverage there is a comprehensive Thai menu of freshly prepared un-fussy dishes at affordable prices. 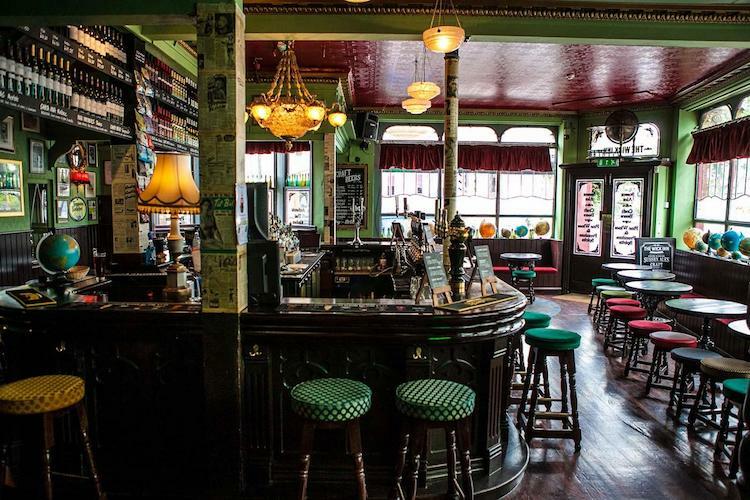 The St. James is a classic pub with an open fire in the winter and an all-weather gaggle of regulars. 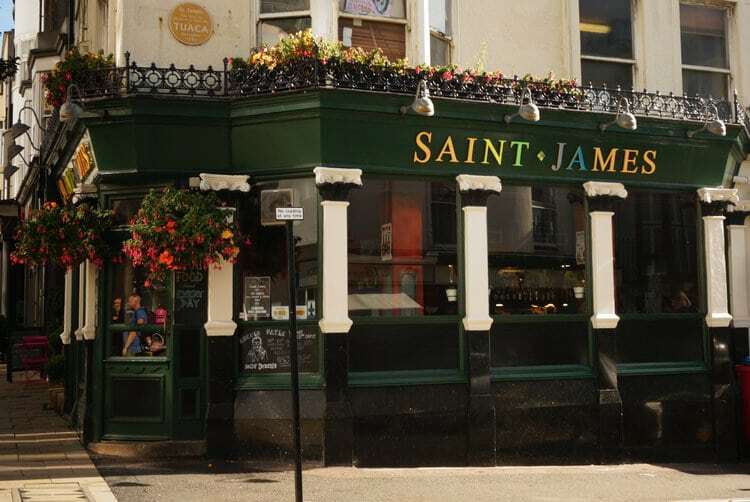 Part of the same pub group as The Office, The St. James specialises in rum, ale and Thai food. 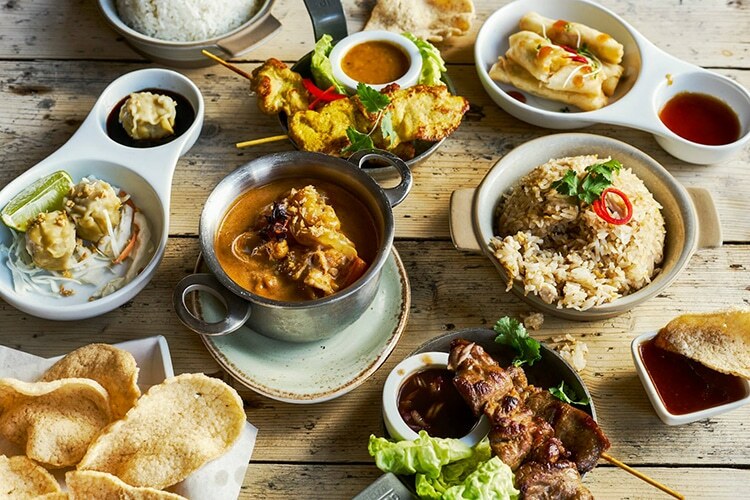 With more rums than you can shake a stick at and offers on specialist rum flights, the Thai food is certainly useful in helping you not keel over with a bad case of sea legs. 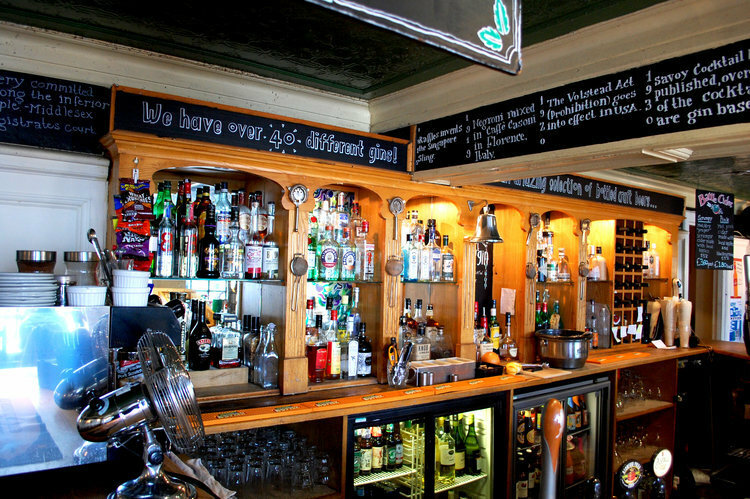 Downstairs the Wick Inn is a traditional parlour style pub offering a selection of local ales and beers as well. On Fridays and Saturdays access is granted to the speakeasy-themed bar on the second floor, offing intimate booths, jazz tunes and cocktails. Monday to Saturday you can enjoy affordable Thia food during lunchtime and evenings, which is useful since the lively atmosphere can have you change your plans from “popping in for one” to pulling an all-nighter.